Australian Josh Brookes has secured his first double win on board his Milwaukee Yamaha R1 at the Thruxton round of the British Superbike Championship this weekend. Race one was a masterclass in timing from the Milwaukee Yamaha rider who was on resurgent form after a disappointing previous round at Brands Hatch. He slotted his Yamaha R1 in behind Dan Linfoot for second place before making a run into the lead and edging away on lap seven. Championship leader Shane Byrne could not match the leader’s pace on his Rapid Solicitors Kawasaki and had to settle for a second place finish. A confident Ryuichi Kyionari, buoyed by a recent lift in pace finished in third place having rocketed up through the pack from eleventh on the grid. Race two was restarted due to the dramatic engine failure of Tommy Bridewell’s Yamaha on the run down to club chicane, causing the red flags and the marshalls to come out to clear up the mess. After the restart, Brookes was pushed down to fifth for a brief spell with championship leader Shane Byrne out in front, having lead prior to the red flag. Brookes was intent on securing the double but it took a tough battle against Chris Walker and Ryuichi Kiyonari before he could challenge Byrne for the lead. An unexpected move into Allard gave Shakey no chance to respond initially. 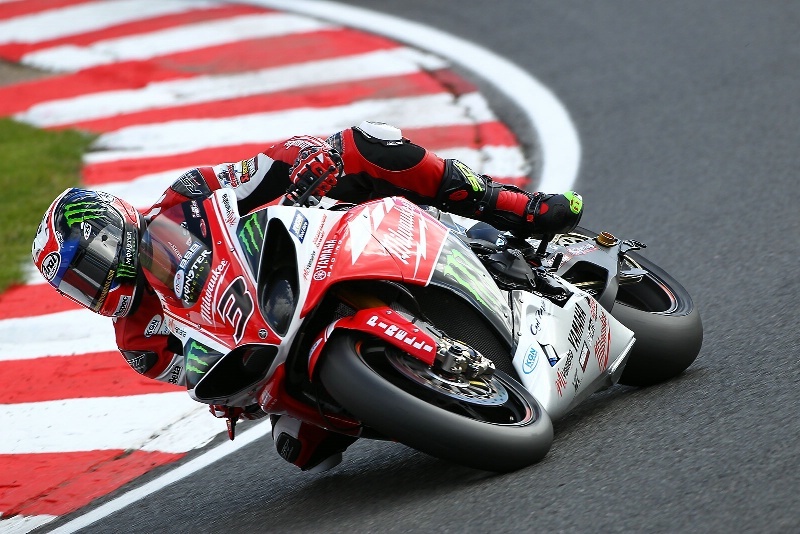 Shakey wasn’t about to give up though and pushed his Kawasaki as hard as possible, Kiyonari mirroring his efforts close behind in an attempt to catch Brookes’ Yamaha. A thrilling last lap saw Brookes come out on top to claim a well-earned double victory, Shakey taking another second and Kiyonari once again third.